The former "SNL" stars will host on December 19th. Thanks to "Saturday Night Live," you can spend the holidays with Tina Fey, Amy Poehler, and Bruce Springsteen this year. 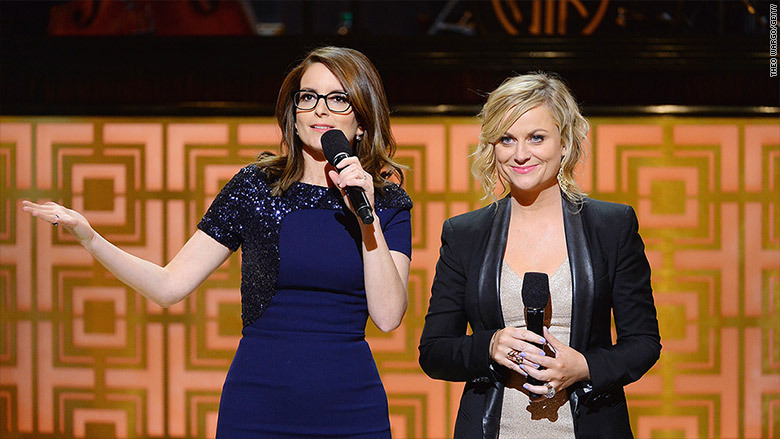 Fey and Poehler will co-host the December 19 episode of "SNL," NBC announced on Tuesday. If two of the most popular former "SNL" cast members aren't enough to get you to tune in, NBC also announced that the musical guest will be Bruce Springsteen and the E Street Band. Fey, Poehler, and Springsteen will be part of the last "SNL" episode of the year, which traditionally has been the holiday/Christmas episode for the long-time variety show. This will be Springsteen's third appearance on "SNL." As for Fey and Poehler, the duo will also be in the theaters that weekend with their Universal comedy, "Sisters," opening on December 18. To kick off the month, Ryan Gosling will host on December 5 with R&B artist Leon Bridges. Chris Hemsworth will follow as host with musical guest Chance The Rapper on December 12.